SCUBA diving is a pastime which is quickly gaining popularity in the United States. Each year more and more adventurous spirits are putting on swimming fins, wet suits and plunging into the unexplored world of various oceans and small lakes like Pompton Lakes. SCUBA diving can also seem extremely daunting and scary to beginners. However, small lakes are the perfect spot to begin to learn more about SCUBA diving, the equipment needed and to literally begin to get your feet wet in this fun filled sport. SCUBA equipment allows for divers to stay beneath the water’s surface for extended periods of time, without having to resurface for oxygen. The majority of people who SCUBA dive do so in a recreational manner, however SCUBA can also be used for commercial and scientific purposes, and is often used by military personnel. SCUBA stands for self contained underwater breathing apparatus. SCUBA divers use diving equipment: scuba mask, breathing apparatus, swimming fins and often times a wet suit, to dive to various depths of oceans and lakes to explore the world beneath the surface. A rebreather is a breathing apparatus which allows swimmers to stay underwater for longer periods of time by absorbing exhaled carbon dioxide and recycling the diver’s unused oxygen. Additional oxygen is then added to make certain the diver has adequate amounts of air. A rebreather is different from open circuit breathing apparatus which simply discharge the exhaled carbon dioxide directly into the environment after each breath. Using a rebreather is actually a lot easier than one might first guess and a perfect for divers looking to explore small lakes. Rebreathers are light weight and easy to strap to your back, allowing for your arms to move freely without getting snagged or suffering from a limited range of motion. The rebreather simply straps across your back and then has a mask which fits snuggly, yet comfortably, over your face. Using the rebreather is simple – you merely breathe in and out as you normally would. The rebreather then circulates the exhaled carbon dioxide and adds the right amount of oxygen to ensure the diver is always getting clean, filtered, air. Why Would You Want to Use a Rebreather? Rebreathers have gained a lot of popularity among divers recently for various reasons. One of the main reasons scuba divers are turning to rebreathers is because they are a lot quieter than other scuba diving apparatus used to breath under water. Rebreathers’ release, few, or no bubbles which means that not only do you not hear the bubbles, but neither do the fish and other wildlife. The lack of bubbles provides a much quieter underwater atmosphere and the chance for scuba divers to get closer to marine life allowing for more interaction, a heightened diving experience and lot better pictures. Rebreathers have also been credited with warming the air divers breathe in and making diving more comfortable by eliminating dry mouth that divers often complain about when using other breathing apparatus. Camping and hunting are two hobbies that go hand in hand. The camper who enjoys being in nature can easily camp in a hunting reserve and spend their day in a perch waiting for the right target. However, the camper who is bringing weapons along with them must have a means of storage for their weapons. While it is sad to say, there are people who would steal these weapons from the campsite. Also, children must be kept away from the weapons if they have come along on the trip. The safety is the most important part of any weapon. When the gun owner is carrying their weapon through the forest, it is best to have the safety on at all times. This helps to prevent misfires, but this precautionary measure also helps to prevent the gun from going off if it is dropped or knocked out of the hunter’s hands. The safety also prevents children and small animals from setting off the weapons when the weapons are not in use. Protecting people on the journey is just as important as protecting the weapons themselves. One of the most helpful hints that a hunter can get is to bring along a gun safe. While many people imagine gun safes sitting in the home, a small gun safe can be brought on a camping trip with relative ease. This extra precaution helps the gun owner to lock up their guns at night or when they are not in use. If the gun owner has any concerns about other campers stealing their weapons, a gun safe is the best method of protecting the weapons from theft. Storing guns properly starts at http://www.gunsafecritic.com and extends into the camping journey. The guns that are brought on a long camping/hunting trip must be kept as clean as possible. If the guns are not cleaned regularly, they will begin to rust and break down. While the rust on the outside of the gun may be unsightly, it is not as dangerous as wear and tear on the inside of the gun.Cleaning guns every day after hunting helps to keep the inner mechanisms of the guns working properly. Gun accidents can be prevented when the guns are cleaned often, and gun owners can avoid injury while firing their weapons. The gun owner who wants to take care of their gun should always have it close at hand. Rifles can be fitted with a shoulder strap for portability. Pistols should be kept in a holster to ensure that the weapon is always on the owner’s hip.Using guns for hunting and camping is a time-tested tradition that people have enjoyed for centuries. Rather than taking guns into the wood unprepared, gun owners should have a gun safe, take protective measures and use their safety as often as possible. By following these precautions, the hunting or camping trip will be safe and successful. If you like to go camping, you probably know how great a simple granola bar can taste after a long hike. You probably also know that when you have to carry everything on your back, the ideas of “light” and “heavy” take on whole new meanings. Salt Spring Island Pure Goods has camping essentials that you can also check out. You want to carry as little as you possibly can. There is a funny moment in Bill Bryson’s book, “Walk in the Wood,” where his companion throws half of his provisions out because he thinks his pack is too heavy, including some of their food! This is why a lot of camping foods focus on packing a lot of calories into a small volume, and weight. One staple of camping snacks is trail mix…nuts, chocolate and dried fruit can give you a lot of calories and nutrients in just a small handful. Beef jerky is another great option if you want to add some meat into the mix. If you are looking for a creative option (sick of the old staples), try whipping up a batch of your own nut butter to make some cracker sandwiches! Not only will it be healthier than your store bought versions, but it will also taste better and be more satisfying. Nut butters provide nutritious fats, are high in Vitamin B, and contain lots of protein. I expect you won’t be bringing a portable food processor with you camping, so you will need to whip up a batch of your nut butter before you leave. The recipe is pretty simple! In general, you will need some nuts, a little salt, a little oil, and maybe some spices (like cinnamon). You can experiment with taste and consistency, but you will need about 2 tsp of oil per 2 cups of nuts. Add the nuts to the food processor and grind until they become sticky or paste-like, and then add the salt and slowly add the oil until the butter binds together. Experiment with different types of nuts, and don’t be afraid to venture out from the boring peanut! You can make walnut, cashew, pecan, almond or even hazelnut butter. Spread it on some crackers and you will have a tasty camping snack! There are many different reasons one would need to drive in the mud. Whether you are driving on a country road after it has recently rained, taking a shortcut and getting caught in unsuspecting mud, or if it’s just some fun that went wrong, it’s important to know how to handle your car in the mud or even snow. I have put together a step by step guide for managing your way through mud. First, it helps to have a bigger car. All levity aside, check these out! Drive slow! You are much less likely to slide around if you are taking it easy. Try a lower gear to control your lead foot. Never stomp on the gas pedal! If you are losing traction, either take your foot off the gas pedal (if you are going downhill) or keep it steady (if you are going uphill). Nothing gets you stuck quicker than gunning the engine, which only makes your tires spin faster and your ruts deeper. If you have a regular rear wheel drive vehicle (not 4WD, AWD or FWD), put some weight in the back of your vehicle, right over the rear axle (deep in the trunk or pickup bed). Rocks, gravel and firewood are especially good for weight because you can use them if you get stuck. Drive so your tires ride the high areas of the road, not the ruts. Ruts are wetter, therefore more muddy, slippery, etc. Do not ride the brakes. If you are going downhill, shift to a lower gear or just go slow! Do not stomp on the brake pedal to stop. Pump it slowly. This is called cadence braking, it’s what your ABS on modern cars does automatically when there is a loss of traction, i.e. wet or icy conditions. If you start to slide, turn your wheels into the direction of the slide (as you would on ice), and start pumping the brakes. If you can’t stop and are heading off the road, turn into the slide and turn the car as gently as possible away from the edge. Sudden turns can turn the car over! If you get stuck in the mud, put it in park, calm down and get out of the car/van/truck. Survey the lay of the land and figure out the easiest way out of there. Grab some rocks, small logs or that gravel in the back, and make a path for your tires getting as close to the tread as possible (focus on the rear tires if you have rear wheel drive) and don’t create too much height for them to go over. Get back in the car and very slowly go forward. If your tires start to spin, try reverse alternately with forward, rocking the car back and forth until your tires hopefully grab. You might need to try more rocks/sticks again and again. Lowering tire pressure may help you gain more traction in the mud. Final tire pressure depends on the type and size of your tire and wheel. This should be avoided if you must drive on a road again before being able to add pressure. Lowering the pressure too much may result in poor handling as well as potential tire/wheel damage. Avoid pressure less than 20psi or half of your recommended tire pressure. Softball and Baseball are teaching these kids more then just how to hit a ball, catch a baseball or throw a softball. These programs are often critical in allowing the children to grow and gain confidence. If they teach each child that importance of respect, sportsmanship, honesty AND instill some confidence in that child? They’ve done their job. Every child has different interests and they pride themselves on giving children an avenue to explore sports in a competitive yet fun environment. Unfortunately, these aren’t self sustaining leagues. What do I mean by that? Well simply put little leagues across the country rely on the support and donations from local businesses as well as parents. Much of the league is made up of volunteers without which none of the little league programs that are run would be possible. Parents like yourselves are the reason little leagues have been successful year after year. Without their tireless support and donations none of our children would have a to play organized sports. If you are looking to get involved with Pompton Lake Little Leagues you can visit this link for sponsorship information. There are several packages which business can select to support the programs. They’ll get exposure through the leagues within in their community. Sponsorship is vital as it allows little league programs to be accessible to everyone and not just the wealthy. Sponserships from the local community drives the cost of registration down and it improves the program, enabling them to continue to build on a long legacy of success. If you live in the Pompton Lake area and are looking to enroll your child in softball click here. As of writing this registration is currently open for the 2014 season! As always we’re very excited for the coming little league season. You can also register at a new building near Pompton Lakes wherein it is noticeable from its renovation from a company that specializes in roofing maintenance services in Vancouver. If your child has never played little league before you should familiarize them with the rules of the game which can be found here. Most little leagues follow the rules set out on that website. This is for two reasons, to make the game safe and to allow for an even playing field across the States. There is a lot of good information on junior and youth baseball bats around the web. Make sure you select a bat that is little league compliant otherwise you may be returning your bat very shortly after purchasing it. If you need more advice on equipment we suggest you check out www.firstbasecoach.com which has been a tremendous help selecting everything from bats, gloves, cleats and even sunglasses. 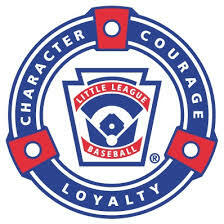 As always I hope the little league season is a massive success. It’s often the first taste of organized sports that children have and it is extremely important that it leaves a positive impression. So get out there and play ball! I recently went on my first camping trip with my husband and our dog a few days after my orthotic therapy in North Vancouver (homepage). How is it that I have never been camping before? Well, growing up, it wasn’t something my parents were interested in. My brothers did boy scouts and camped with that organization. They had tents and pocket knives and backpacks. I tried to do girl scouts, but I don’t think I graduated from Brownies. My most vivid memory of Brownies is going outside and picking up dried leaves to crumble up and put in a bag with cheap perfume – voila! Potpourri! Amazing I didn’t stick with it, right? Back to the first camping trip. I think camping, like any other hobby, takes practice and the right gear. I have none of the right gear, and I don’t have any practice. If you are going into a foreign environment (aka the outdoors) it helps if you are comfortable with everything you are wearing and bringing. Oh, and did you realize that you have to CARRY everything that you want to bring? That can all get seriously heavy. Lucky for me, my husband carried most of the stuff. It was a good excuse that I don’t have my own pack. Problem one with camping is the bugs. Bugs are noisy, and they are everywhere. We had to pull a tick off of our dog. Contrary to what I expected, I didn’t think the big bugs were that scary. After all, you can see those. It is the little bugs that were the problem. They could sneak up on you at any moment. Especially the ants. I have heard that many people prefer camping in the winter time because there aren’t as many critters around. Being more of a warm weather person myself, I thought that crazy. Now I understand. I had the false expectation that it would be quiet and peaceful in the outdoors. Peaceful…maybe, but definitely not quiet. We only did a short hike to our camping spot, which was good because of all the gear. Because we weren’t hiking too far, we were able to bring fishing equipment to try and catch our dinner out at the local lake. I’ve been fishing before – when I was in sixth grade we went deep sea fishing in the Gulf of Mexico. I don’t remember what we caught, but they were big and it was fun. Any other fishing I’ve done (lakes or rivers) has been purely recreational (not for food). We would always catch them and throw them back. As you’ve probably gathered by now, I’m quite a bit more urban than rural. So, I caught a large mouth bass, which was pretty exciting. I didn’t so much mind catching it, since I knew it was for food. Circle of life, right? If you are going to eat a fish, after you catch it, you have to gut it! This is the most disgusting thing that I have ever seen. You literally cut the belly of the fish open with a sharp filet knife, hook your finger under the gills, and pull out the guts. I will never look at fish the same way again. I did try the fish, but I didn’t enjoy it. My husband seemed to think it was tasty though, but he was tapping in to his inner caveman. Luckily, we brought a few of the prepackaged dinners to warm up; those things really aren’t too bad! All in all, the first camping trip wasn’t too bad. I definitely would prefer to try it in the winter, and I now know that I’m not the “kill it and eat it” type. If that was my only option, I’m sure I would be a vegetarian! I sure can’t wait for my next camping trip after I settled my Vancouver Westside real estate (website) this year. Hunting can be a sport of good exercise, excitement and even relaxation. It all depends on what kind of hunting you enjoy and the locations you hunt in. If you happen to be someone in the United States who has never hunted but wants to learn how to become a hunter, then the following information is ripe and ready for you to take part of. The first piece of information that will be essential, is realizing that you must attain a Hunter Safety certificate. This certification will allow you to be a legal hunter in your own State (which should make you legal nationwide) and permits you to purchase a hunting license. The certificate itself is normally just a sticker but it opens up the door wide into the hunting world just for you. Specifically, as soon as you are certified then you will be permitted to buy yourself a local license, travel anywhere you want (where hunting is permitted of course) and to begin hunting. You will also learn some firearms basics as well as what gear to equip your rifles/firearms with. The International Hunter Education Association is at your convenience when you want to check into the hunting requirements for each State. Just keep in mind that it will not be the same everywhere you travel to for hunting purposes. What might be surprising is that not every State actually calls for a hunter to have a certificate. But as the old saying goes, “It’s better to have it and not need it than to need it and not have it.” Taking the course for the certificate is not only valuable for the legalities but is also beneficial for learning more about firearms and being outdoors while hunting. Now, there is an online (IHEA) course available for people to take if they want to get even closer to getting certification. The course itself will take roughly an hour but with that aside, it is required that everyone in the west coast States to sign up for a course where you will attend in-person. The course will touch upon such areas as gun safety, private property rights,how to hunt successfully and how to take correct shots on animals that may be running from you. If you are an eager beaver and want to handle firearms before you get your certification then this is not uncommon. You can contact anyone you may know with guns and if that’s inconvenient then you may try a local shooting range. People will be excited to help you learn how to handle firearms, treat them with respect and most importantly how to shoot safely and correctly. Everyone may have their own personal reasons to hunt. Some may just want the thrill and sport of the kill while others like that as well as having meat for the pot. Depending on which State you are in will matter greatly on what is available to hunt. Obviously because of the various types of American terrain, big game and small game hunting will vary. Depending on what your heart’s desire is, you may need to travel quite a ways from home so you should get in touch with local foundations to see what is available. As an example, there is the Mule Deer Foundation, the California Deer Association, Quail Forever, Pheasants Forever, theRocky Mountain Elk Foundation and others. Feel free to use the internet and get in touch with others who may be available for help. Finding the right resources is key when educating yourself on becoming a hunter and making sure you have your hunting rifles properly equipped. Because hunting in America is slowly declining, other hunters should be glad to be in contact with you and help you where they can. If you’re a woman and want to learn and get out hunting, the opportunities are even more numerous. So, learn how to hunt safely and enjoy it. Let’s keep this great past-time going. We love seeing families enjoy our Pompton Lakes and take part in any number of activities in the great outdoors. Camping is one of the most popular ways to get out and enjoy some fresh air and relaxation, and many people come from miles around to camp on our shores. Over the years, we have picked up many tips, tricks, and best practices, and to help you make the most out of your trip, we think it’s useful to go over some interesting information that should keep you well informed. While the average family still has 2 children, we get quite a few people coming by who have 3 ,4, 5, or more kids. If none of them are yet teenagers, it’s probably important to you that they sleep in the same tent as the parents (you). While some larger groups simply spread out with multiple tents, if you are a large young family, you don’t have that option and have to come up with a compromise. One of the great things we’ve seen over the past few years is an increase in the available tents designed specifically for families. These family tents sleep anywhere from 6 to 12 people, making camping easy for people with many children. Kodiak, Coleman, and Kelty make some of the top tents that we would recommend based on our years of experience camping, hiking, and backpacking in this area. In particular, the Kodiak Canvas Flex-Bow Deluxe 8-Person Tent is our top choice for people looking to sleep between 4 and 8 people. 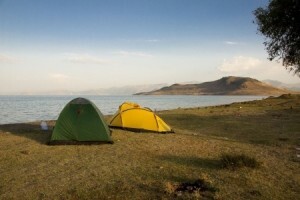 The first thing you should know is that most manufacturers of camping equipment exaggerate their claims. For some reason, the industry is full of not-quite-accurate statements. For example, sleeping bag companies give temperature ratings. While true that a specific bag could work in 0 degree weather, it usually only keeps you comfortable for a few minutes, and will let you survive through the night, but not much more. Similarly with tents, when you see an “8 person tent”, you should really think 6 people. You could hypothetically fit 8 people in the tent as long as they all slept in individual sleeping bags and were lined up head to foot to head (like sardines). How much fun will you have like that? Probably not much, not to mention you won’t be very comfortable and there will be no room for your gear. Take this warning and remember it when looking at tents – always buy a tent with a rating of 2 more people than you actually need. It’s hard to go wrong if you buy a tent from one of the manufacturers we recommended above. Things like good zippers, secure seams (particularly around the bottom of the tent and any zippers), reinforced bottom panels, and high quality material are things you should be looking for. Longevity should be a major feature of your tent, and you do not want to be running into quality issues when you’re out by the lake trying to enjoy your time. Some tents come with flimsy support rods and poles. These days, good aluminum poles are lightweight and sturdy and are a major feature of many tents these days. You want to be prepared for whatever Mother Nature throws at you. Don’t assume that you’ll only ever go camping when the weather is nice. Things can change very quickly, believe us! Getting wet inside your tent is heartbreaking. If your sleeping bag is wet, you’ll never get dry, warm, or comfortable. Your gear could get wet, too, and you could spend days waiting miserably to go home. Look for reinforced seams, waterproofed material, and a good rain fly. We hope you will enjoy your next family trip to Pompton Lakes in whatever family tent you choose! 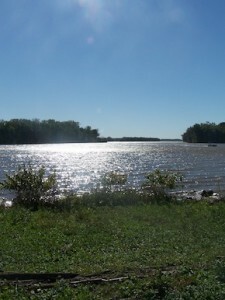 Camping in New Jersey can be fun, exhilarating and a wonderful learning experience. However, if you’re not careful, you can get so caught up in a new environment that you may forget to eat healthy foods. There are some tips that will help keep you healthy; no matter where your camping trip takes you such as planning ahead. By planning ahead and preparing menus that include fresh fruits and vegetables, you will be one step ahead in staying healthy. All you need to prepare these foods is a sharp knife. Another tip is to freeze meals ahead of time. To do this, prepare extra food when preparing your main meals and then freeze the leftovers. Then, all you have to do is put them in a cooler, defrost them when you need them, heat and serve. Some also take frozen vegetables along in place of the ice in their coolers. It’s a good idea to take along meal replacement packs or protein products that will mix easily and satisfy your hunger on the go. Another tip that some have found helpful is by taking some homemade or already prepared muffins along. These, along with some coffee, make a great tasting breakfast. Then, instead of taking along too many sugary soft drinks, take with you some bottled water or freeze several gallons of water ahead of time. Cool water is much better for you than sugary drinks and there are no calories in water. It will also keep you refreshed when you are out hiking in the woods. Snacks and Granola Cereals Work Well so bring some along for the ride! Be sure to also pack some peanuts or walnuts; they make a great snack and are full of protein and other great nutrients. Granola cereals also make great snacks or breakfast choices and all you need is the cereal, plastic bowls and spoons and some water. Some like whole grain pita bread or wraps, filled with peanut butter, nut butters, vegetables or tuna. They fill you up, are nutritious and taste great. This kind of food works best for lunches because they give you additional energy for the rest of the day. For supper, make some easy pizzas and use whole grain tortillas or whole wheat pita bread filled with cheese, sauce and veggie toppings. Toast these items in a pan over a cook stove until the bread is crispy and the cheese is gooey and delicious looking. Another tip that helps is to keep lean meats in a cooler. Make sure they are packed well in ice. In most cases, they should keep for several days; as long as ice is refreshed when needed and the meat is not left out for more than a few minutes. Meat that is also kept out too long will lose protein and other nutrient value (creatine is in meat) the longer it sits. To conclude, camping be fun and healthy; however, to ensure that your camping experience remains healthy and safe, be sure to take with you healthy and nutritious food in order to stay in shape while you are in the great outdoors at Pompton Lakes! It is often difficult to determine which tool to use when cutting firewood. It is essential that you look up chainsaw reviews to help you in determining which chainsaw is right for you. Camping always brings back memories of being a child, sleeping in a tent with your family, sitting around telling stories, fishing with your dad, cooking and eating the fish you caught, enjoying life in the great outdoors. All of these activities are enhanced by the sights and sounds of a big roaring campfire. The crackling embers, the dancing flames, the smell of burning wood. One crucial element to a campfire, of course, is the firewood. In National and State parks there are many regulations governing the use and procurement of firewood. However, if you are truly in the “backcountry”, or camping on your own vast acreage of wilderness, than you are responsible for obtaining your own firewood. And it is imperative. Without a proper campfire, you lose the ability to cook, and you lose the ability to keep warm. Most of your kindling for the campfire can be gathered on the forest floor, twigs, brush, leaves, etc. However, a long lasting fire needs bigger branches, bigger logs, to maintain fuel to the fire. It is at this point that a proper chainsaw comes into play. Many campers do not quite understand the need for a chainsaw. They feel that the forest will provide an adequate supply of firewood. While true, there is plenty of burnable brush, most if not all of the kindling you find will be quick burning, and really only good for starting a fire. In order to maintain a quality blaze, you need sizable logs and/or branches. You may find a three-foot long branch on the ground. How do you get that branch into your campfire? It is way too big. You break off the twigs and leaves, and you are still left with a three-foot long log. You could feed it into your campfire, but wouldn’t it be better to cut the log into the proper portions for your campfire. That’s where a chainsaw is needed. You could turn to an axe, hatchet or handsaw. These tools might well for twigs and small branches, and will eventually cut through your larger logs, but this will take a long arduous time period. You did not come camping to toil for hours cutting logs with an axe or handsaw. Nightfall may be coming. The temperature may be dropping. You cannot spend all your time sawing through a log. This is difficult and time-consuming work, which can be made so much easier by having the proper chainsaw. There are many different types of Stihl Chainsaws, with many different options and choices. The first question should always be, what is my need? After that many factors, including size, weight, affordability, power source, the fit of the chainsaw meaning your comfort level in operating the saw, safety features, chain brake, among other factors. You will be using this chainsaw for many hours, so make sure you have the appropriate level of comfort of use, otherwise it is a waste. While buying a chainsaw is a personal choice, it is necessary to compare and contrast many different options, choices and styles. 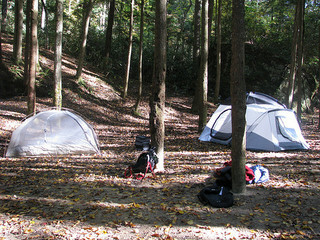 You decide to go camping to enjoy nature, enjoy wildlife, enjoy the great outdoors. Why waste time, sweat, and energy cutting by hand the appropriate amount of firewood you need? Read chainsaw reviews and pick the right chainsaw for your needs and spend your time living in the wilderness not working the forest.